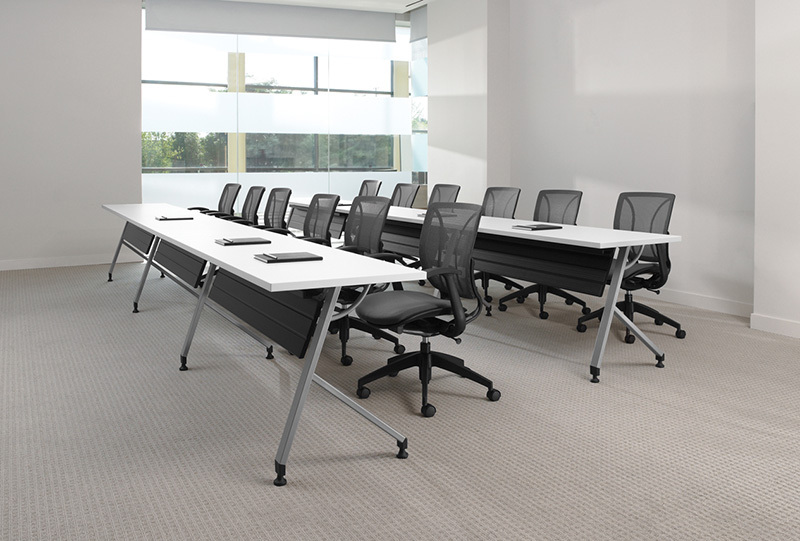 Bungee comes complete with table tops, legs and Bungee cords, allowing quick and easy reconfiguring of table settings without using any tools. 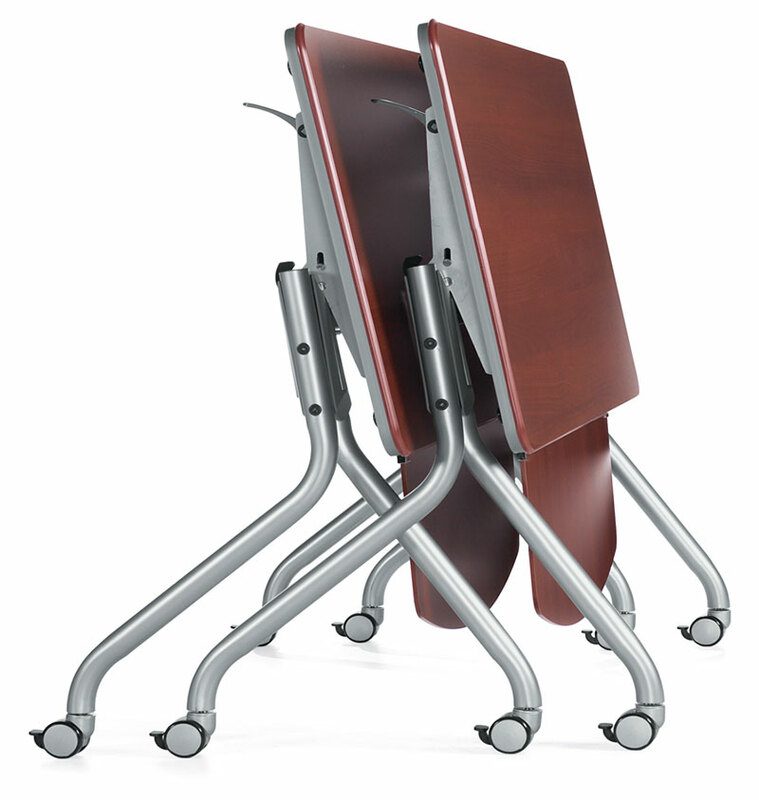 The multi-usage Bungee Tables are an affordable investment for growing companies looking for versatile and efficient meeting solutions. 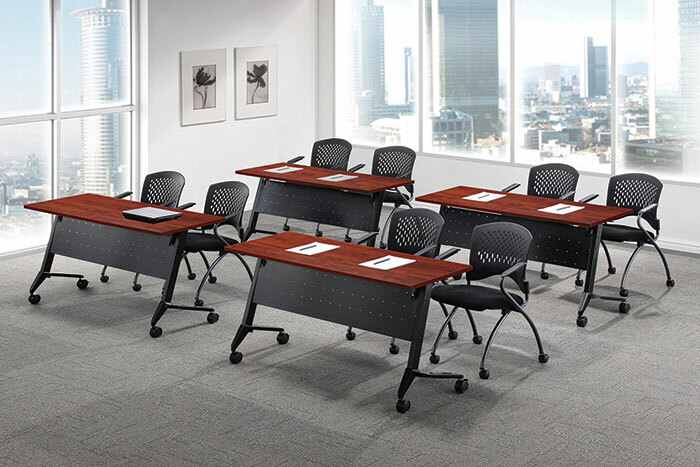 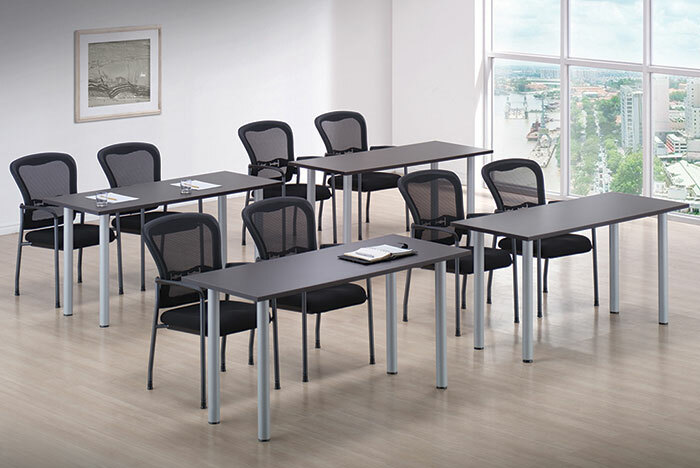 Freestanding configurations are also possible by adding legs, allowing worksurfaces to be easily reconfigured while providing flexibility for changing classroom and boardroom environments. 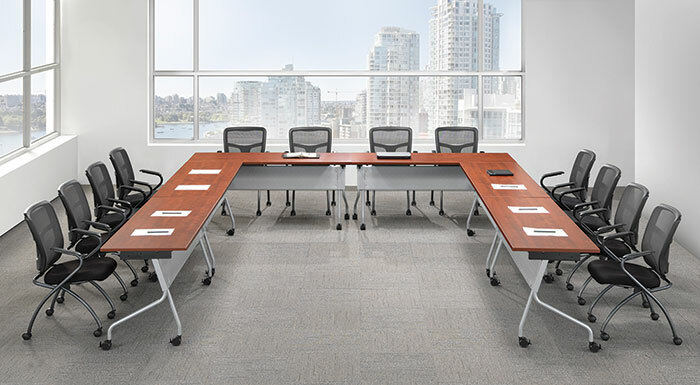 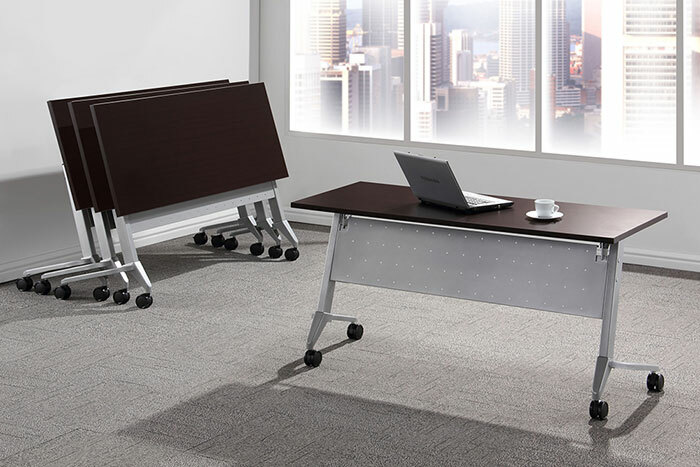 These tables are an affordable, highly modular system of freestanding and connecting tables which can be linked together to address all your meeting room needs. 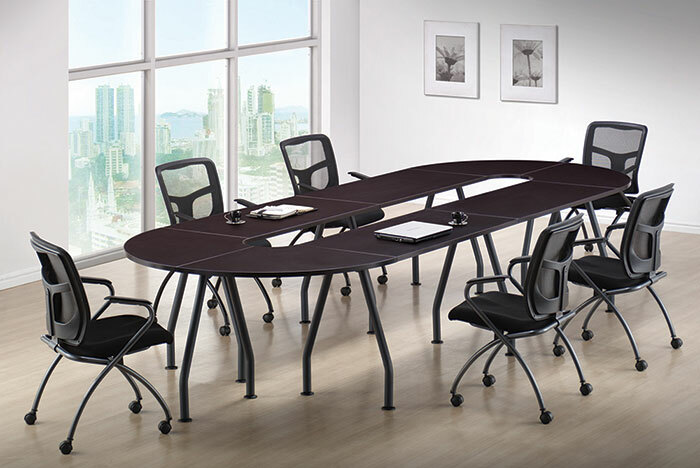 These tables not only provide flexibility and durability but will bring style and warmth to the workplace. 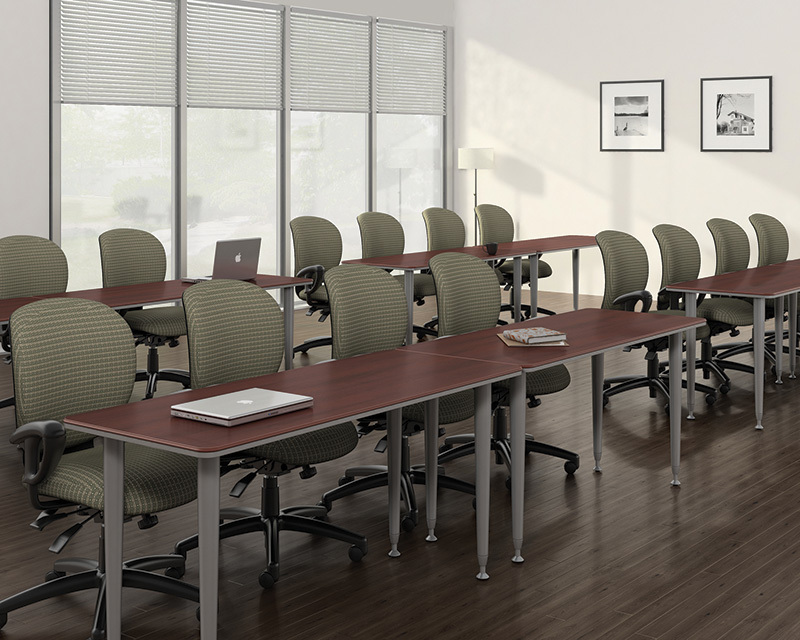 Stocked in contemporary color laminates with matching 3 mil Dura Edge. 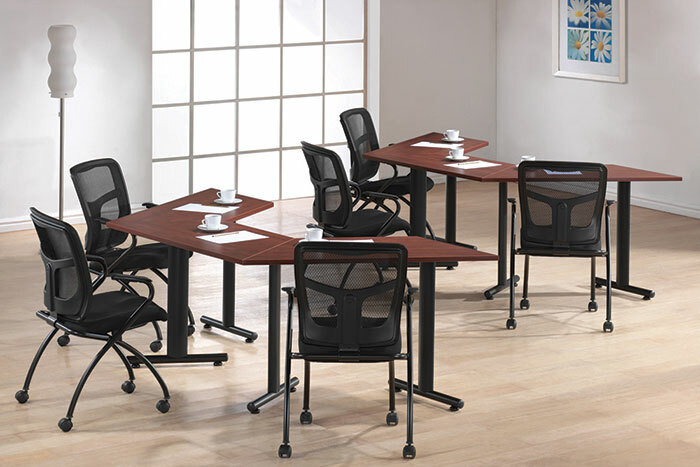 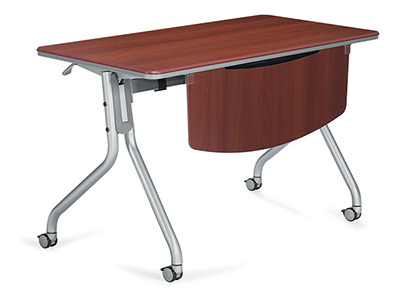 Heavy duty flip top tables provide flexibility and convenience at an outstanding price. 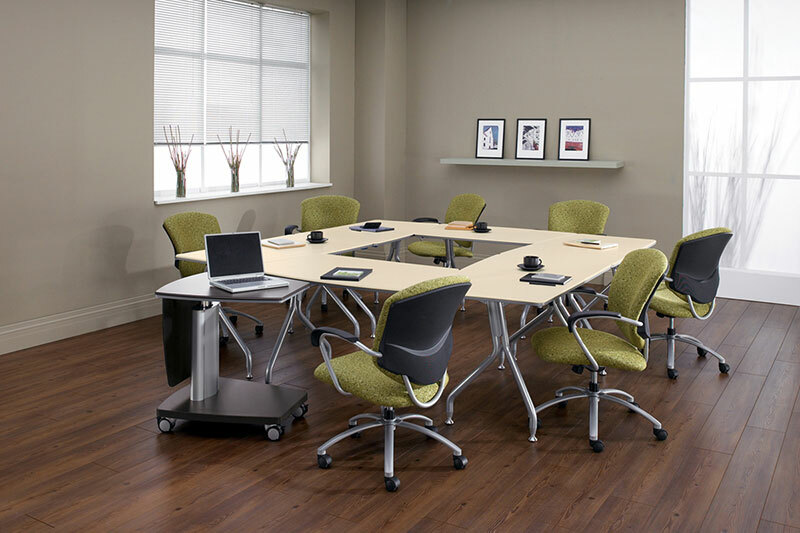 Featuring a quick response lever and locking casters, these tables are designed so they may be nested together for easy storage.